A Yorkshire-based health supplement business strengthens its team with two new appointments as demand grows for its innovative products, both at home and abroad. BetterYou Ltd, which provides superior supplementation solutions using innovative delivery mechanisms of those nutrients increasingly omitted in today’s modern diets and lifestyles, has appointed a new commercial director and marketing director. Gary Shenton joins BetterYou in the newly created role of commercial director following extensive experience in the wellbeing, beauty and FMCG industries. With experience spanning over 20 years, he has previously worked for a number of the UK’s leading retail and manufacturing companies including as director of group sales and marketing at Nelsons. Gary will take responsibility for Sales, Supply Chain and Distribution for BetterYou. 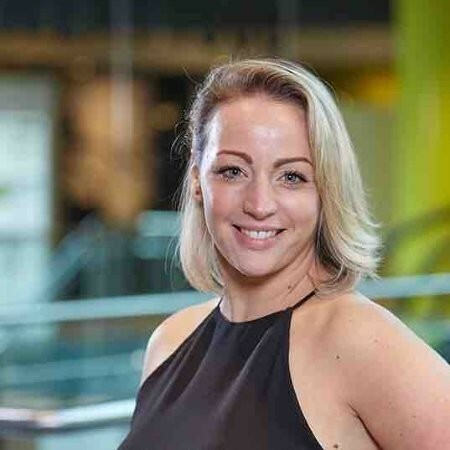 Jennifer Julian has been appointed the newly created role of marketing director at BetterYou after a successful 18 months as head of marketing for the company. Jen will impart her expertise in marketing and project management which she has acquired over the last 15 years working within the leisure, retail and wellbeing sectors. She will be responsible for marketing, new product development, project and quality management. Over the last five years BetterYou has more than tripled its number of staff with the two appointments bringing the staff total to 42. The multi-million-pound international brand, now in its twelfth year, has achieved an average increase of 25 per cent sales growth for the past five years, and achieved a turnover of £7m, with aspirations to grow the brand significantly over the next five years. BetterYou is thriving in the health marketplace with its long-term listings in Holland and Barrett, Wholefoods, Planet Organic and independent retailers as well as its new venture into pharmacies. The company currently exports to more than 30 countries and expects sales to grow further with plans to enter over ten new markets, such as Germany, Australia, the United Arab Emirates, China and the US. Andrew Thomas, founder and managing director of BetterYou, said: “The appointment of Jen and Gary to the board is a tremendous addition to BetterYou’s strategic and tactical weight. “We are about to embark on a second decade of growth and development and their impressive skill-sets, passion and commercial verve will be invaluable as we strive forward. Robin Whitbread, chief executive of BetterYou, said: “The BetterYou brand is prime for further growth and the appointment of Gary and Jen to the board will allow us to achieve our ambitious plans for broader distribution and further product development.